Of all radiological technologists currently employed in the US, the majority carry an associate’s degree earned through an accredited institution. While many of these professions, such as radiographers and ultrasound technicians, may become employed after earning just a certificate, more and more radiology professionals are choosing to earn an associate’s degree for both the educational and professional benefits that it offers. While earning an associate’s degree in one of the radiological technology is not always necessary for all professions, it is very helpful when pursuing a career in this field. Not only does an associate’s level of education provide a strong foundation, it also helps aspiring radiological technologists to maintain a competitive edge over others who only carry a certificate. In fact, as competition in this rapidly expanding profession heats up, many employers are starting to require applicants to carry an associate’s degree from an accredited institution. 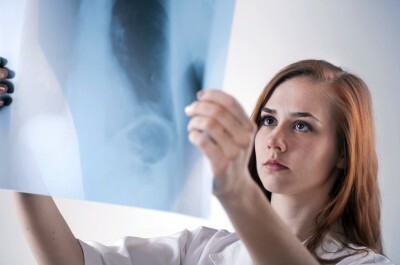 For most radiology professionals, earning a 2-year degree opens up job opportunities and better prepares them for the demands of this rigorous and technical career. Important note from ARRT: “Candidates graduating from a professional educational program on or after January 1, 2015 must have earned an associate degree, baccalaureate degree, or a graduate degree from an institution accredited by an agency acceptable to ARRT. ” This means that, from that date, a Certificate program will not be sufficient.